We know Jesus Christ during his time on earth wrote nothing yet the stories about him were preserved and passed on by Christian teachers and evangelists. For the first thirty years or so, these stories were possibly collated and stored together. That would explain the similarity in the four accounts of Jesus’ life. They are not an exhaustive biographical detail of all that Jesus did. Similarly they are also not diaries reflecting a daily account of Jesus’ life. Rather they are selective accounts of His life, and were probably factual illustrations used by His disciples when preaching about Him. Therefore they would represent the theology of the disciples, as each story about is Jesus is told. That is why they are trustworthy accounts as well as rooting Jesus’ life in first century Judaism and the Greco-Roman world. 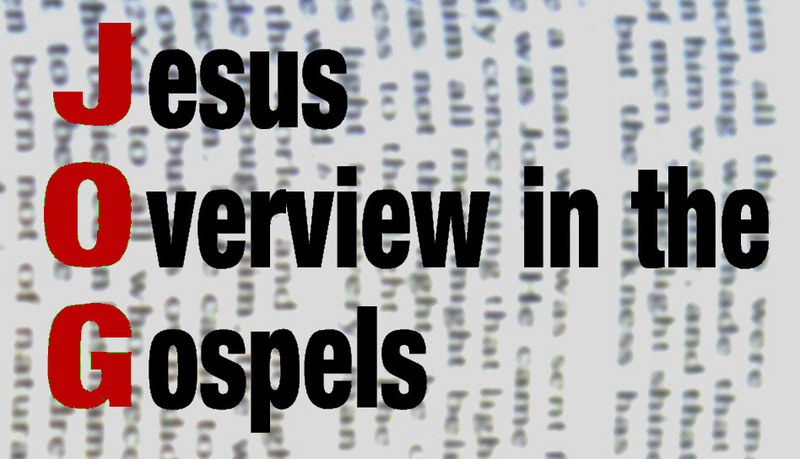 The first three of our Gospels, Matthew, Mark and Luke are what are called the synoptic Gospels. This is based on their great similarity and possibly use of a common source. Mark is probably the first Gospel as it is shorter in length than Matthew or Luke and it would appear that Matthew and Luke used Mark as a guide and elaborated where required. Mark wrote none of the great discourses of Matthew, such as the Sermon on the Mount nor does Mark show the great parables that Luke recorded, such as the Good Samaritan. Surely if Mark had used either the accounts of Matthew or Luke, he would have used those two examples! Matthew is closer in similarity to Mark than Luke. Luke does share large portions of Mark and quite often verbatim, and with a greater use of the Greek language. John on the other hand, while still telling about Jesus’ ministry, has a vastly different story content. Whereas in the synoptic Gospels Jesus talks about the Kingdom of God frequently, in the Gospel of John, Jesus talks about Himself much more often, as in the seven I AM statements. For this reason, John was probably written later than the synoptic Gospels. Mark presents Jesus as the Suffering Servant of the Lord, coming in fulfilment of the Old Testament. Jesus offers His credentials, gathers His disciples, offers the Kingdom of God and its message. Jesus’ teaching is seen in short parables, which hide the truth from those hardened against Him, yet prepares and instructs those responsive to Him. Overall Jesus calls those who follow him to serve others and to deny themselves by taking up their own cross, just as He took. Early tradition states that Mark’s Gospel had a connection with the Apostle Peter, and was therefore written to preserve some of Peter’s memories before his death. Mark 8v34 - "If anyone would come after me, he must deny himself and take up his cross and follow me. Mark 10v45 - For even the Son of Man did not come to be served, but to serve, and to give his life as a ransom for many. Luke 1v3-4 -Therefore, since I myself have carefully investigated everything from the beginning, it seemed good also to me to write an orderly account for you, most excellent Theophilus, so that you may know the certainty of the things you have been taught. Luke 19v10 -For the Son of Man came to seek and to save what was lost. Luke presents Jesus as the God-Man, as a saviour for the entire world, writing primarily to Gentiles. He does this from a broad vantage point that is compatible with the fact that he is a Greek. Luke traces the incarnation, Christ's introduction, ministry, rejection, subsequent teaching in view of His rejection, the cross, resurrection and ascension. Even though a Gentile, Luke emphasizes the kingdom program with Israel's place in the kingdom. This Gospel is not complete in itself, but is rather the first for two parts, with the Book of Acts being the second section. Both are addressed to Theophilus (Luke 1v1-4 & Acts 1v1). The author is probably the Luke as identified by Paul as a doctor, and was one of Paul’s travelling companions (Colossians 4v14; Philemon 24; 2 Timothy 4v11). The style and language use is that of a native Greek speaker. Matthew 16v16 - Simon Peter answered, "You are the Christ, the Son of the living God." Matthew 28v18 -Then Jesus came to them and said, "All authority in heaven and on earth has been given to me. " John 1v9 & 12: The true light that gives light to everyone was coming into the world… Yet to all who received him, to those who believed in his name, he gave the right to become children of God John 20v31 - These are written that you may believe that Jesus is the Christ, the Son of God, and that by believing you may have life in his name. John presents the person and work of the Lord Jesus Christ so that mankind would believe in Him as the Son of God, Messiah, and Saviour of the world. His selective argument portrays Christ as the God-Man. John records miracles and messages that affirm the deity and humanity of Christ. John builds his record around the public ministry of Christ, the private ministry, the cross, and the resurrection. Q1. Read Mark 8v34 and Mark 10v45. How strongly am I encouraged to carry my own cross, knowing that Jesus carried His cross? Q2. Read Luke 1v34 and Luke 19v10. If Jesus gave up everything to seek me, what more can I give, in order to help spread the good news of Him? Q3. Read Matthew 16v16 and Matthew 28v18. If Jesus is still living and has authority, how is that a help to me as I live a life worthy of His name? Q4. Read John 1v9-12 and John 20v31. 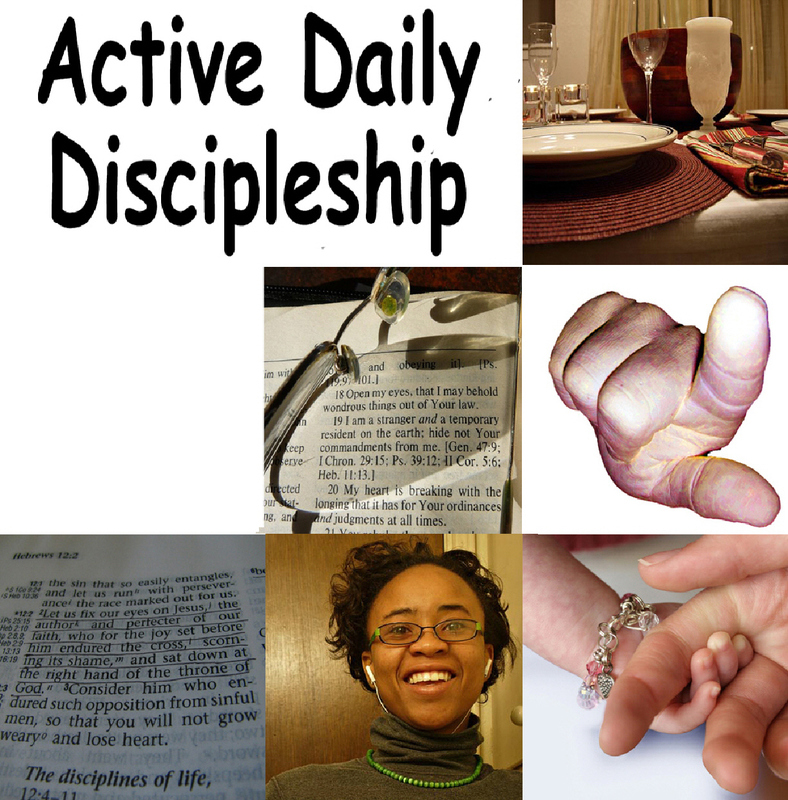 As a Christian Disciple and therefore a child of God, how is Jesus working and changing me? Each Link opens up in a new window! I wonder what the biggest fence, wall or barrier is that you have either seen! Perhaps one of the biggest walls in the world is the Great Wall of China. It is over 4000 miles long, about 25 feet high and up to 30 feet thick! It is huge!! I have seen it both up close and from the air! It was originally built to keep out invaders - for that is what walls and barriers do: Keep out enemies! However big the Great Wall of China is, there is one barrier that is even bigger! Just as it was for ancient Israel, it is for us today. The biggest barrier to exist is the one that separates God from all His creation. This barrier is holiness, for God is a holy God and people are inherently not! The prophet Ezekiel gives a vivid picture of the holiness of God and describes it as a fire, a bright light, radiance, full of glory and majesty. If that is holiness, what is sin? Sin is both a heavy burden. Sin is like also toxic virus of the soul and affects every person. It is more deadly than Ebola, HIV and Spanish flu - combined. Sin inevitably leads to death and sin is anti-God! Sin is disobedience of God. Sin is also not doing what is right! With God there is no big or small sin - sin size is a human construct! However, some sins do cause God to grieve more than others. If only people declared holy can enter God's presence, how are we made holy? How can we, as mortal unholy people, enter into the presence of God and live? What does atonement, if anything, mean for us in the 21st century? Chapters 9 & 10 of the book of Hebrews are the best commentary you can find on Leviticus 16. In there we see that Jesus Christ is our scapegoat and takes the immense burden of our sins on himself! Aaron was a type of servant king but Jesus was the ultimate servant king! Aaron, as Chief Priest, offered sacrifices for the cleansing of sin, but Jesus Christ himself was both the sacrifice and the Chief Priest. Jesus Christ became sin! We see the annually repeated Day of Atonement becoming the unique Day of Calvary, as Jesus' death is an atoning and substitutionary sacrifice, which makes amends to God for the sins of the world. Jesus alone gives life and offers life to the full - a life borne from grace and not from Law. At the time of Jesus' death, the curtain to the Holy of Holies in the Temple, the Tabernacles successor in Jerusalem, was torn in two from top to bottom to symbolise that access to God was now open! The blood of bulls and goats could never take away sin, as God never wanted sacrifices in the first place! God desired obedience over sacrifice - all the time! The sacrifices of Leviticus were only in situ because the ancient Israelites sinned, they were disobedient towards God and His desires! God wanted obedience, and obedience as we know, goes on to give praise to Almighty God and gives testimony to His goodness! Lets now, quickly compare the Levitical Sacrifices and Jesus' Sacrifices! Levitical Sacrifices: Performed repeatedly by earthly priests who stood. Their work was unending as they laboured on earth and their sacrifices could never take away sin. Jesus' Sacrifice: He offered one sacrifice. Jesus now sits at God's right hand in power and glory with His earthly work now complete. His sacrifice achieved its goal of fulfilment and made his followers holy! Declared right and just before God! Free from the slavery to sin! Given the Spirit to dwell inside! Perfect holiness, has been revealed in Jesus Christ, and Him alone. If you are a Christian, you have been declared holy because you now wear Jesus Christ's robe of righteousness! It was given to you as a gift of grace! That is because of what Jesus did on the cross and in His resurrection. Jesus Christ has broken down the barrier between God and humanity once and for all, by His sacrificial death. That's why we celebrate Jesus' death around the communion table and that's why the bread and the wine are only symbolic of His flesh and blood. If the bread and wine did turn into the actual flesh and blood of Jesus Christ as some churches proclaim, then we would be sacrificing Jesus Christ all over again. If you are a Christian, you are declared holy, and therefore you are to live a holy life - a life worthy of Jesus Christ! As a Christian, the Holy Spirit is living inside you, changing and transforming you into the very image of the holy one, Jesus Christ. Your transformation into that image of Jesus Christ, is the greatest evidence, not only of the work of the Holy Spirit but also of you being a Christian living an obedient life to God. As a Christian, you are no longer an enemy of God but a friend of God and belong to God! As Christians, we are to live a life of obedience to God - casting off all that hinders and seeks to stop us. And if we fall into disobedience, we can confess our sin to the Father, through the name of the Son and in the power of the Spirit and get right back up again, knowing we are forgiven - totally amazing! As Christians, we are called to be joyfully obedient to the Lord, serving Him in every aspect of life! In doing so, our whole lives will be acceptable worship to God and not just at a Sunday meeting. Our worship is to be a lifestyle of conscious decisions, reflecting our devotion to a God with whom we are to be in a dynamic and intimate relationship with. This lifestyle will affect the way we work, rest and play! As instruments in God's orchestra of joy, we are to be loyal to Him - the joy giver! We are to obey with joyful, effervescent vigour and reflect a living God to a society out there, which is in darkness. They will know we are Christians by the way we act - actions of obedience to God, signified by the love we have for each other and them. Love in action by supplying people's needs, both on an individual and church basis. We are called to follow God and not to succumb to the temptations, which seek to mar our relationship with the God who lives inside us. Go into this week, to obey and serve the Lord with faithful obedience! But if you are not a Christian here tonight, then please do make yourself known to us afterwards and we would love to talk to you about becoming a Christian. While you have breath, it's not too late to start this life of joyful obedience to a loving God and enter into a living and dynamic relationship of true Joy with Him. Don't leave it so late that you incur God's judgement for your sins and have everlasting separation from Him and others! God does indeed love you and He is calling you to come into a dynamic relationship of true joy with Him today. Take the opportunity today - come and follow Jesus Christ. He is calling you to respond! In our first part, we looked at the ceremonial cleansing of God's dwelling place. Now Leviticus moves to the matter of personal & communal holiness and moral impurity. Repeatedly in this book, God has frequently said "Be holy, for I am holy". The ancient nation of Israel was to be an obedient example to the whole world, a unique concept or paradigm if you like! God was present with them and they were to be His light in a dark world. The people of Israel were to live a life that reflected the holiness of God! God desired obedience over sacrifice! Holiness was to be a moral attribute of ancient Israel, much the same as it was for the holy God who dwelt amongst them. In chapter 18, we see at least 3 characteristics of this relationship! Firstly there is the call to be loyal to God! God's laws were not be obeyed slavishly but to obeyed joyfully and with effervescent vigour! God is speaking to those He is in an intimate relationship with and He wants them to be observably loyal by being like Him - holy! Secondly there is the call to be different! Different from the surrounding countries and cultures! Ancient Israel was to have a national distinctiveness that truly was to have separated them from the surrounding cultures such as Egypt Ancient Israel was to live a life so radically different that people around them would notice! They were to be separate from the worlds around them in lifestyle and worship! . Their God was a personal God who dwelt with them. God's presence with them was to affect every aspect of life, on both a national and individual level. Thirdly, their whole life was to be worship! Worship wasn't to be just for the Sabbath, feasts and ceremonies - it was to be their lifestyle. God's regulations affected such ordinary things as relationships, diet, clothing, social justice, social welfare, environment and work. Their whole lifestyle was to be an act of worship, and not just on the Sabbath. Who knows best what humans need - humans or the God who created them? By being obedient, they would have life to the full - a life of blessing and peace! Lets look at an example. Chapter 19 which was read to us, starts off with taking care of the poor and the daily necessity to eat! That was how God was going to provide for the poor - through the farmer not harvesting everything! To leave some food unharvested was to be a symbolic act of worship, a thanksgiving and a visible sign of trusting in God to supply! It was holiness in action - a generous holiness if you will! This section is summed up in Leviticus 19:18, "love your neighbour as yourself". So, for an ancient Israelite, to love his neighbour would mean not stealing, lying, deceiving, blaspheming, cursing, being unjust, slanderous, filled with hatred or endangering! A good neighbour would be a person of integrity, not seeking to exploit others in any way. A good neighbour would administer justice and be observably filled with love. Does that remind you of something that was said in the New Testament? How to read Leviticus today? So what is the best way for us in the 21st century to read these ancient laws of Leviticus? Is it just to simply ignore them or are we to slavishly follow them? Perhaps the best way is to simply let Scripture interpret Scripture and see what the New Testament says about the Leviticus laws. Take for instance the food laws. We know in the New Testament that all food is now permissible, whereas under the Old Testament, certain foods were not permitted to be eaten. In the New Testament, the Apostle Peter had a dream in which all food was declared clean! It is also wise, not to see them as merely a list of "not do" statements, but also as "do statements". Rather, we should see them as a love letter from a God who wants to save His people from distress and anxiety in order to give them a life of peace, unity, health and a joyful life in all its fullness. All these laws were to lead ancient Israel to be a holy nation. Holiness was about being set apart for a purpose and making wise, conscious decisions about what was right or wrong. It involved being obedient to God and keeping His decrees and regulations. Being holy, involved having a lifestyle, which was contrary to the cultures surrounding them. To be holy was a lifestyle choice of worship, to reflect their holy God. They were called to be loyal! Called to be distinct! Called to worship! What has all this got to do with us? Where does the Day of Atonement and these laws fit into the life of a Christian in the 21st century? We will take a look in the third part in al little while! Four weeks ago we looked together at Psalm 66 and discovered that true joy involved praise, testimony and sacrifice. That only by being serving instruments of God's orchestra of joy, can true joy be experienced! Then last week we looked at a momentous and joyous event followed by a great tragedy as Nadab and Abihu stumbled and incurred God's wrath on their sin. Tonight, we look again in the book of Leviticus. Some of the words and phrases we commonly use come straight from the book of Leviticus. Words such as jubilee and scapegoat are commonly used today. And what husband hasn't offered a form of guilt offering to his wife! Chapter 16 describes the Day of Atonement! We know that God had chosen Israel to be His people and that they were to be a shining beacon of light and hope to the world! As part of the covenant made with their leader, Moses, God said that He would be their God and they would be His people! What a contrast to the nations around them that worshipped multiple ‘gods', made of stone and often thirsty for human sacrifice. Most of the activity takes place in the Tabernacle! What did the Tabernacle look like? The Tabernacle or as it is also known as, the Tent of Meeting, was a marquee divided down the middle by a curtain. There was the ‘public' side and the other side, beyond the curtain, we know as the Holy of Holies, where the Chief Priest could only enter once a year! Inside the Holy of Holies were these items, which all screamed how special this place was! Golden censer: High priest used this to make the cloud of incense as he entered the Holy of holies! Golden pot of manna: symbolised how God had supplied the needs of His people. So what was the Day of Atonement all about? It was to be an annual event. The verses read give a summary but you can read the details in the rest of the chapter. To atone means to clean, make amends, and to substitute. Chapter 16 starts by referring back to the incident we looked at last week, with Abihu and Nadab. Through their death, the Lord states the fundamental principles for priests - only they could mediate for the nation before Him and they had to be spiritually and ceremonially clean. Lets look very quickly at 5 aspects: Offerings, Blood, Aaron, Scapegoat and the people! But why was blood used to ‘cleanse'? Why not water? Did God need blood, to quench his thirst for blood? By all means, no! God didn't need blood but blood was used to show that sin had a cost - the cost was blood because life is in blood (read Leviticus 17v11)! The death substitute of an animal, reflected a temporary covering or veneer, which is why it needed to be done over and over again. So that's blood! What about Aaron? During his normal daily duties, he represented God before the people, and was dressed as king! A king with great honour and clothes would draw attention to his office of honour! Here, on this one day of the year, the Day of Atonement, he represented the people before God, he was dressed as a servant. Before the Lord Almighty, Aaron is stripped of honour and approaches God as a servant. So, to a certain extent, Aaron was a servant King! Before he could go into the most holy place, he had to create an obscuring cloud of incense in the Holy of Holies, to veil the glory of God so he could enter and live. No doubt the memory of his sons provided an extra incentive to follow God's rules meticulously! And all this talk of a scapegoat! There were 2 goats to be offered! One goat was sacrificed as a substitutionary sin offering for the people and its blood taken into the Holy of Holies and sprinkled on the mercy seat. Aaron, laid his hands on the second goat's head, the one kept alive, and symbolically cast the burden of sins of the nation onto the goat. It was then driven out into the wilderness, far away from the camp and was never to return! Lastly, what about the people? What were they to do? Just sit there and be bored while this all took place? No! They were not to be passive! But rather, they were to remember this day as an addition to their annual calendar by "humbling their souls" as one translation puts v31. This involved not doing routine things such as working and feasting. They were to ponder upon the awesomeness of their God who lived amongst them, and to reflect the cost of their sin. They were also trusting that the Chief Priest was being fully obedient to the regulations! On this day of Atonement, the one day of the year, Atonement took place between God and His people. God's holy dwelling place and things associated with it were cleansed. The sins and disobedience of the nation of Israel, over the previous year, had left impurities as stipulated in verse 16. (Read v 16) The cleansing blood was to symbolise the great cost of sin. If the Day of Atonement did not proceed as regulated or was forgotten one year, God could no longer be present with His people, due to the stains of sin and uncleanness of His Tabernacle or dwelling place. Holiness is what separates God from all His creation. For God alone is holy, perfect and full of glory. Exodus 15v2 "Who is like you, O God, glorious in holiness!" Or Isaiah 60v25 "To whom will you liken me, or shall I be equal?" says the Holy One. But if God was holy, how was His nation to act holy? That's what we will be discussing in the next part after a break! Just as it was for Aaron and the Old Testament priesthood, when we serve and minister, God's honour is released. This is done because service is to show the beauty and glory of God to others. Serving, service and ministry are never to be about what we as mere humans can get out of it. When that is the motive, God is neither honoured nor glorified. God's glory and supremacy is to be the ultimate reason for service! God is both zealous and jealous for His glory and honour to be upheld! Nadab and Abihu could testify to that I am sure! As Christians, as part of our life of true Joy, we are called to serve and minister. We are called to exhibit and show our true Joy - just as Aaron and his family were called into a lifetime of obedient service to Jehovah God. Their JOY motto was to be "Jehovah Over Yourself". For us, true joy is to be "Jesus Over Yourself". Each of us here tonight is called to perform a unique serving and ministerial function. And we are not left alone to serve in our own power! We would most certainly fail if that was the case! God Himself has lovingly equipped all those who follow Him, to serve! God the Holy Spirit, who lives inside each believer, has endowed each Christian with gifts, talents and abilities for that purpose - service! This is so that the whole church is built up and "that in all things God may be praised through Jesus Christ." God wants you and I to be active in service - life long service hallmarked by loving obedience to Him, which reflects our joyful dedication to Him, to His praise, honour and glory! Finally, just as God's judgement was upon Nadab and Abihu, the Bible also tells us that all those who follow Jesus Christ will be judged according to what they have done, with what God gave them. That includes any spiritual gifts, talents and abilities we have! This judgement will not be for salvation, because if we have decided to follow Jesus Christ, judgement for our sins has already fallen on Him, when He died on the cross. Of our sinfulness we have been set free and declared innocent! If we here tonight, have accepted God's free offer of salvation by grace alone, through Jesus Christ alone, then we are declared right with God and in a joyous relationship with Him. Again, it is amazing! However, our belief and faith are to be visibly manifested through joyful obedient service of, and to, God! This judgement is not for your salvation but for your rewards! As followers of Jesus Christ, God will ask you and I, to give an account of ourselves, and we will be judged according to what we have done. The quality of our work will be tested and our motives exposed - either we did things for God's glory or we did them for our own glory. We will give an account of the opportunities and abilities entrusted to us as instruments of God's orchestra of joy. For those of us who would call ourselves Christians, the Bible is very clear - you are called to lovingly and obediently serve in some capacity. A life of true Joy is seen in obedient service to the glory of God the Father, through God the Son Jesus Christ, in the power of God the Holy Spirit who lives in you. Tonight, if you are engaging in either intentional or unintentional acts of disobedience, then you need to turn your life around to one of utter obedience to the God you profess to follow. As a Christian, you have the Holy Spirit within you, as a seal of your salvation. Your body is the temple where God now resides! You can't hide from Him, so you may as well choose to be obedient to Him in a life of joyful service, exhibiting that true Joy and the hope you have in Him! Just as joy followed Moses and Aaron's obedience in Leviticus 9, so too can it be for those of us willing to lovingly serve obediently! 5. So what's all this got to do with us today? So what's all this got to do with us today in the 21st century? Over and over again in the Old Testament, we see that the nation of Israel were to be a people of service separated out for God! Under the terms of the covenant God made with them through Moses, that was the core of God's agreement with them. It commenced with the stipulation "Now if you will obey me and keep my covenant, you will be my own special treasure from among all the peoples on earth; for all the earth belongs to me (Exodus 19v5)". This covenant was with the nation of Israel in order that those who believed God's earlier promise to Abraham could know how to live a life worthy of being God's people: to live a life relating socially to God and to other people. It was also to show how humanity could approach God on God's terms alone and not on their own conditions! God was and is a perfect and holy God! His people, Israel, were to be a holy and separated people of service and to reflect God's glory and greatness to the other nations! This covenant was only in place until the Messiah came and made the perfect sacrifice. All the Old Testament Covenants pointed towards the time when the Saviour Messiah would come - God would come Himself to save His people! The Mosaic Covenant was never meant as a means towards salvation. It was given that they could realize the helplessness of their own efforts to save themselves and their need of God's help. One day, there would be a New Covenant between God and humanity and this Mosaic covenant would be fulfilled! God will write His law on the hearts of people. God will be their God, and they will be His people. No longer would human priests need to mediate between God and humans, because Jesus Christ, the full visible manifestation of God, would fulfil that role as mediator and all people would have access to God through Him! Amazing stuff! You and I have instant access to Almighty God. We can approach God's throne of grace with confidence and assurance because of the work of Jesus Christ on the cross. God no longer dwells in a Tent of Meeting, the Tabernacle or the Temple made of stone - He now lives in each believer - immediate access guaranteed! Amazing and yet how often we don't avail ourselves. But it is more than that, because as royal priests of this New Covenant, for that is what we are, we too are called into a joyful life of obedient service of God! Now today, in the 21st century, we have a problem. We are quite comfortable with a God of love, peace, joy and kindness. In the movie Crocodile Dundee, Mick Dundee announces that "Me and God - we'd be mates". If that is the limit of our vision of God, then may I suggest that our vision and opinion of God is too small? Perhaps our God is too nice and too comfortable. Yet a problem seemingly remains. How on earth can a God of love, peace, gentleness, kindness and joy act like this against two of his dedicated servants, Nadab and Abihu? Is not that a God who is at odds with himself? The first thing we can say here about God is that while He is most assuredly a God of love, kindness and peace, He is also a God of judgement - a God who judges. That is plainly evident from this passage. We need to acknowledge him as a great lover, but also as a terrifying Judge. Not just a friend, but also a Judge! The writer of the book of Hebrews reminds us that it is a dreadful thing to fall into the hands of the living God who is a consuming fire! Remember also, that God always prefers obedience to sacrifice. We all have, I am sure, at some point liked to think of God as being all love and never judging. People say: "It will be alright in the end, because the love of God conquers all." Well, that love involves judging! The judgement of God is unbiased. God shows no favouritism and He is always just and right. It is a reflection of His mercy, that nobody can claim God is unfair. But God is not merely a God of mercy, peace and love but also as we have seen, He is a God who judges and administers justice impartially in accordance with His mercy, peace and love! Not only is He a God who judges but He is also a God who has great wrath - it is an essential, permanent and indelible part of His character! His wrath may be slow to burn, but it is still anger and wrath! The holiness of God requires that He punish sin through His wrath! What sort of God would He have been if He had not done what He did to Nadab and Abihu? What if He had said, "That's ok boys, you will get it right next time." Then He most would certainly be seen as a capricious, unjust, fickle and hostile being. It's not a popular subject these days in our churches! Most churches mumble when it comes to bible passages such as this! While most sections of our society, and indeed parts of the church, view God as a doddery benevolent being, sitting benignly in the sky in His rocking chair and mildly ‘tutting' when people disobey His commands. But God is not a benevolent Grandfather figure and neither is His wrath or anger unwarranted, immoral, cruel, fickle, spiteful or capricious! God's wrath is always to administer and mete out a divine loving justice, which corresponds to God's innate and essential characteristics and attributes of light, perfection and holiness. That's the picture given by all the Bible writers. When we speak of a perfect God in human terms, whether that is His being a wrathful judge or tremendous lover, it reflects the imperfect limitations of our humanity. We were made in the image of God and not the other way around! Secondly, God's honour was at stake! He is both zealous and jealous for His own honour and name! He can only act within the confines of His own characteristics and attributes! He must always work out of His immutable holiness! God was passionate about living at the centre of His people and there was no way He could allow renegade priests to disobediently defile His dwelling place! Nadab and Abihu were punished because they worked in His immediate presence as illustrated by verse 3 "Among those who approach me I will show myself holy; in the sight of all the people I will be honoured." If God had not punished them, then that would have made God out to be a hypocrite and a liar, acting contrary to His own essential nature and He would be seen as an impotent God with seemingly multiple personalities. This story illustrates that Nadab and Abihu had to serve as an example, which is why we have the story. Thirdly, Nadab and Abihu broke the guidelines, given by God on how to enter into His presence. They took the wrong fire, went at the wrong time and were ill prepared for such an occasion. They entered a place of God's holy presence in a sinful and disobedient state. People full of sin can never enter into a place where God resides, because God is uniquely holy, sinless and perfect without fault or defect. Nadab and Abihu chose, for whatever reason, either intentionally or unintentionally, to break God's guidelines in how, where and when to offer a sacrifice. There is no indication, however, from the Biblical text that they were eternally separated from God at their death, as in judgement of their sins. But rather it seems they were judged according to what they did with their abilities, talents and gifting as ministers in His service. These two men, Nadab and Abihu, sons of Aaron the High Priest, start their duties. They take their pans, fill them with hot coals from a fire, place aromatic incense on the coals and offer this to God as an act of worship. The fire from the glory of the Lord comes out, engulfs them and they die. What happened? They hadn't followed the strict guidelines as given by the Lord and had therefore violated all the instructions given to them. Strict regulations were required by sinful humans to be in and work in God's holy presence! How different can these two scenes be? In the first passage we looked at, fire represented God's presence and spoke of His love, warmth, purity and blessing upon His people. Here though, the fire represents a different aspect of His presence through his active holiness and therefore danger and judgement. Who were Nadab and Abihu? They were Aaron's eldest sons and had received a privileged upbringing. They had seen God working from close quarters. When Moses went up Mount Sinai to speak with God and receive the stone tablets containing the Ten Commandments, they were there. They had just spent the previous week in training for their new jobs as priests in service to God. No doubt they had witnessed at close quarters, the fire we spoke of earlier in Leviticus 9v24. So they were not only important people, but also experienced. Yet in spite of all this, they did what was contrary to the guidelines given them. They were disobedient. We don't know why they did it. It could have been old hairy legs satan whispering in their ears "Go on. You have a go now. Your dad did it, didn't he? So can you. Don't worry about those guidelines God gave you. it will be alright tonight, my sons. You felt good and happy, didn't you? Trust yourself." It could have been pride, jealousy or impatience that led them to disobey the strict guidelines, or in light of 10v8 perhaps too much wine! Perhaps they were caught up in the excitable fever of the joyful occasion and wanted joy like a drug! What may have seemed right to them, most certainly wasn't right to God. Perhaps they thought they were doing God a big favour by zealously embracing their roles as priests and wanting to offer as many sacrifices as they could! We will never know! But we do know, that regardless of the reason for doing so, they actively disobeyed God. They chose to do it! Not only was it a fragrant disobedience but also a flagrant disobedience. In offering a "strange" or unauthorised fire, they had disregarded God's instructions for the timing, place or manner. They had been set apart and dedicated to a life of serving God and His people and had now paid the ultimate consequence for their disobedience. Their disobedience is referred to again in Leviticus 16 in the regulations for the annual Day of Atonement. Regulations probably given to ensure that this never again occurred! Aaron, their father, was silent - stunned I would imagine! He has seen at firsthand, that in a life of true joy, God requires obedience over sacrifice. Aaron and his remaining sons were not to mourn or appear to be sorrowful. This was to signify the seriousness of Nadab and Abihu's disobedience. To us this may seem harsh, but Aaron and his remaining sons had to prioritize service to God over commitment to family. This was symbolic of Joy - Jehovah Over Yourself. Aaron and his other sons had to remain engaged in priestly duties and responsibilities. Other members of the family were allowed to mourn however. You may remember from a couple of weeks ago, we looked at Psalm 66 and discussed Joy and how a life of true joy could be seen in the life of the Psalmist through praise, sacrifice and testimony. That this was also true of Jesus Christ and lastly that it was also to be true of all those who have chosen to follow Jesus Christ and have Him as Lord and master of their life. I wonder, where in the intervening weeks between then and now, true joy has taken you. I also wonder what role you have played as a member of God's orchestra of joy during that time. Tonight, we will look at another aspect of being instruments of God's orchestra of joy - obedient service! Israel was a nation, chosen by God, to be His people and to be a shining light of God's glory to the world around them. This nation, God's treasured and precious people, however, way back in Exodus 19, refused to be a nation of royal priests. Instead they preferred being represented by Moses and Aaron. So Moses and Aaron have gone into the Tent of Meeting or Tabernacle to meet with God. This was where Moses and Aaron would meet with the Lord during the travels to the Promised Land. The whole nation is waiting for them! So Moses and Aaron, as we just read, come out, give a blessing to the people and God's glory appeared to the nation! WOW! That must have been some blessing Aaron gave! Whatever his words were in v24, they were words that invocated Almighty God's power, presence and peace to be with and upon His people. No wonder the people fell on the ground with their noses in the dirt as an act of joyful worship and praise to God!! So there is tremendous joy in the nation of Israel and this is evident in their spontaneous act of submissive, voluntary worship and expressions of thanks to their Almighty God. Moses and Aaron had followed God's guidelines obediently and the nations true joy was in evidence. Not just joy as an emotion, but true joy as evidenced through sacrifice, praise and testimony! We have learnt previously something of satan’s strategy. Satan wants you, as a Christian disciple, to compromise your faith. He wants you to be fearful. He wants you to have doubts and blasphemous thoughts. He wants you to be a hedonist that only thinks of themselves and living a materialistic life. He wants you to put off till tomorrow what you can do today. He wants you to be an individual, instead of being involved in your local Christian community. At times we feel like giving up being a Christian disciple with the pressure applied on us by sin & temptation. The thoughts that satan implants in our minds like “Did God really say that?” or in the insatiable thoughts of lust, revenge or pride. Doubts set in. Guilt appears constant. To help His people, God has designed spiritual armour for us to wear during our constant battle with sin & temptation. This armour is what God wears according to Isaiah 59v17, when He goes out to battle! What are the hallmarks of this spiritual armour? Cast all thoughts of a Roman soldier out of your mind! · Truth - know, understand and live truth. Our lives are to be controlled by truth as revealed in Scripture. When we know truth so well, we can recognize the lies that we are told! · Righteousness - live a righteous life. Live the truth! When we started as a Christian disciple, before God we were given the righteousness of Jesus! But that righteousness needs to be lived out in the lives of Christian disciples. If it isn’t, then satan will attack! 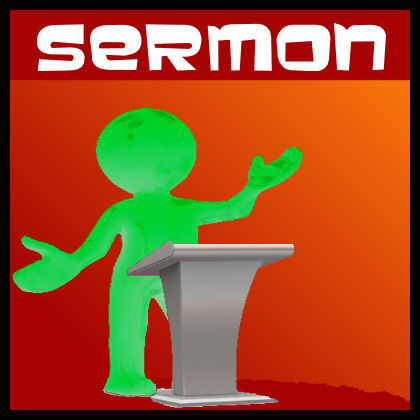 · Gospel - be ready to share it and rely upon it. Because we have peace with God, we are able to withstand without fear the attacks of the enemy! We have peace with God, but we are also to exhibit peace with others. Where peace is, the discord of our enemy cannot prevail! · Faith – show total trust in God for your life. The faith we have is a defensive weapon against the mistruths that come into our head: lies, blasphemy, lust, greed, selfishness are all little darts thrown at us by satan. By maintaining our trust in God’s promises and God’s power, these little darts are extinguished. · Salvation - assurance of salvation. Be assured! Let your mind be controlled by the Holy Spirit, so that you are not led astray. Your salvation rests in nothing apart from God’s promises and Jesus’ righteousness! · Prayer – talk to God. This is how we are energized! Fighting in our own power is useless! When we talk to God, we strengthen our relationship with Him! When we ask other Christian disciples to pray for us, the Church unity is strengthened! A solo Christian is an anomaly. Except in extreme circumstances, there is always a way to ask for prayer and help. How do we put on the armour? It is not through some mystical, deep and secret process that the spiritual armour is put on. If it were, not many of us would be wearing it! It is revealed, whenever we resist the works of satan, and don’t listen to the lies he tells us in our head. When our marriages, reflect the sacrificial love that Jesus has for the church, our spiritual armour is displayed. When children are taught the Gospel and instructed in the Lord, our spiritual armour is being worn. When we are diligent in the workplace, our spiritual armour is exhibited. When God is glorified in your life, you are wearing the spiritual armour! When are living fruitful lives for God, and giving all glory and honour to Him without compromise, we show we are wearing our spiritual armour! We can stand up for Jesus and say with honesty and integrity that He is our Lord and our master. When we meditate on God’s word, we nourish our minds with the truth of salvation! When we tell others of this message of peace with God, our enemies flee! When we ask others to pray for us, as Paul did, we show we are part of the Church, the beautiful bride of Jesus! All these and more, reflect that as Christian disciples, we are clothed in spiritual armour. It is our own responsibility to wear it and use it with confidence. We are to be alert to the prowling of our enemies and relying solely on God’s power to overcome sin and temptation. In our own strength we will surely fail, but by using God’s strength and clothed in His armour, we will prevail and overcome. The Christian disciple prevails and is an overcomer when reliant solely upon the God they seek to serve wholeheartedly. For more to think about please do read for yourself Psalm 1. Ask yourself the following questions, writing them down if you can, and see how you respond or react to them. Then why not share your answers with your spouse or a close friend, so that you can pray over any issues together. Q1. What are the contrasts between the ways of the godly and the ways of the ungodly? Q2. In what ways am I bearing fruit in my life for God and showing I meditate on His word? Q3. What can I do this week, to stop somebody walking down the path that leads to destruction?